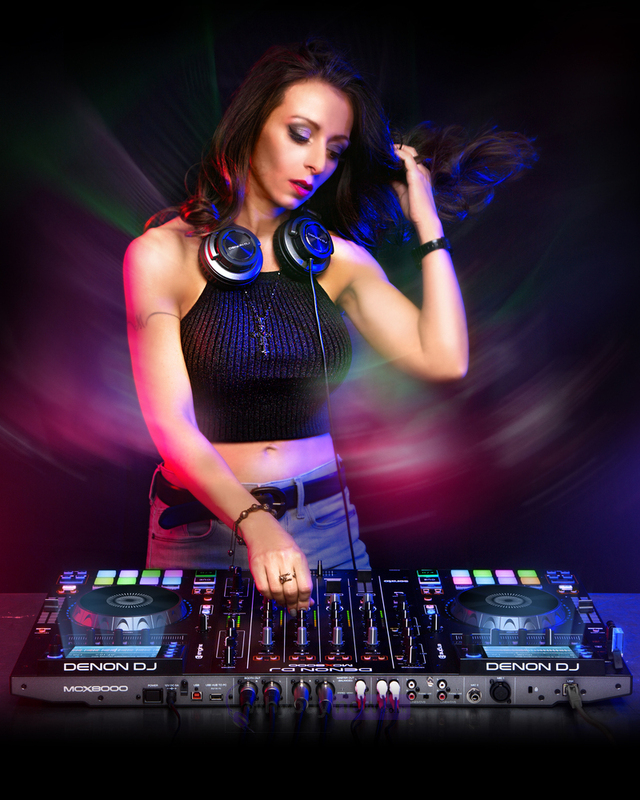 The Denon MCX8000 is a standalone DJ controller that gives you total command of Serato DJ software when using the controller with a laptop, however the Denon MCX8000 also features Denons new ground breaking engine software which means you can use this controller without the need for a computer or laptop! The MCX8000 is the first true DJ hardware/software controller that offers total command of both Serato® DJ and Denon DJ Engine technology in the same instrument. 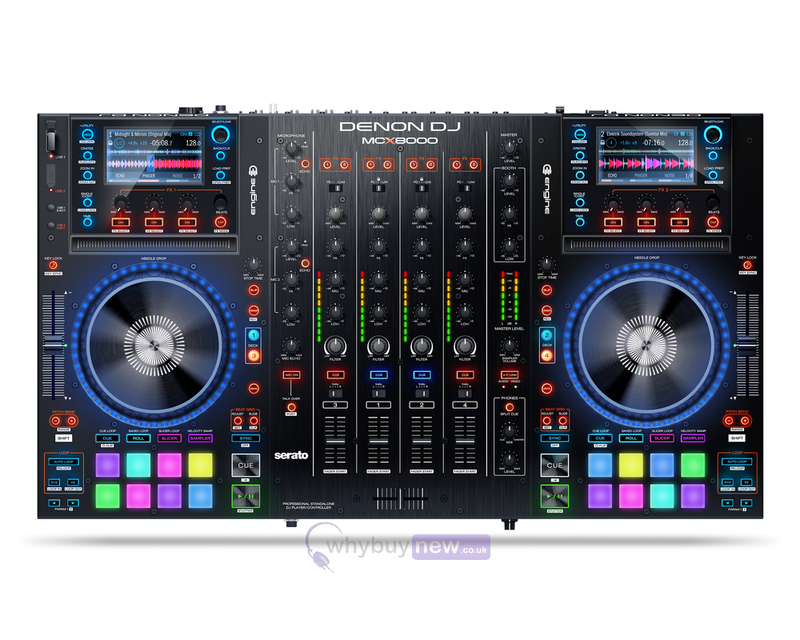 The DJ can use the MCX8000 with its USB drives by opting to use Denon DJ Engine-without a computer connected! 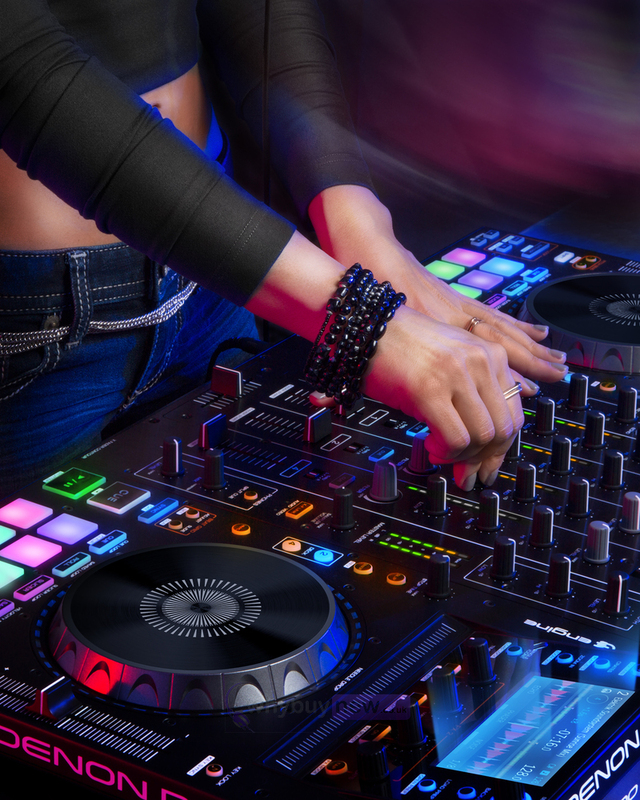 Engine enables the DJ to directly import from Serato DJ crates with all hot cues-as well as create their own-with Denon DJ's Engine software. With MCX8000 DJs looking for a complete, high-performance set-up with flexible operation and freedom from computer-related restrictions will find an MCX8000 with Engine system fulfills all their requirements: 4-deck Serato control and Engine-provided freedom from a computer, plus the ability to switch to local USB dives when using either Serato or Engine. 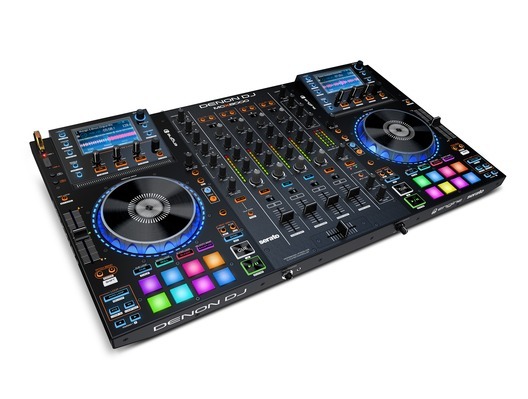 With the MCX8000 two DJs can seamlessly hand off from one to another combining Engine and Serato DJ. Metal construction and high quality op amps ensure rugged and high-quality performance. 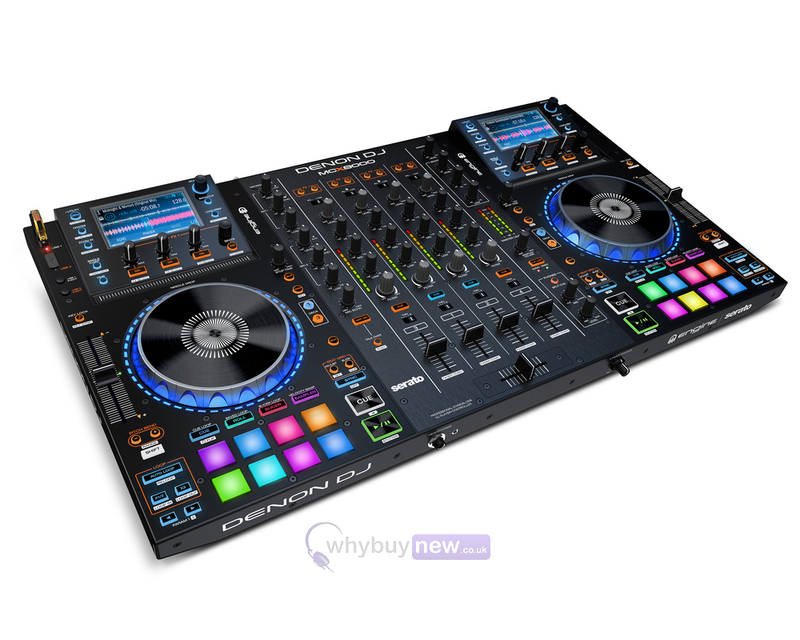 Here we have the Denon MCX8000 in brand new condition and in B-Stock. The B-Stock versions would have been on display at a training evening or trade exhibition only and will come boxed 'as new' with all accessories and a 1-year warranty. 8.34 kg / 18.39 lbs. 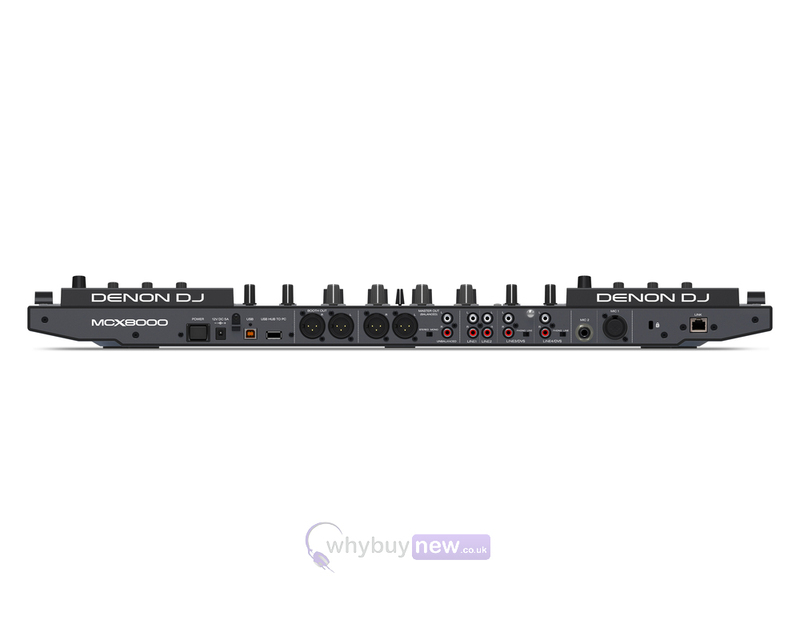 I purchased the Denon mcx8000 from why buy new because my current controller got damaged. I needed my replacement asap due to upcoming gigs. The controller was posted first thing the very next day, I received updates via email every step of the way. Great service. Thanks again folks. Fantastic piece of kit. You have to be Tech minded to get set up but once in the controller is fantastic. Everything you could ever need in one unit. No need for pioneer CDJS anything and for the price of 100 bags of fish and chips. At this moment in time i could not be happier.